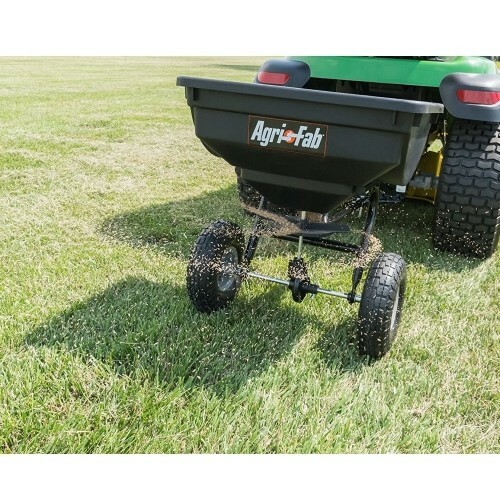 AGRI-FAB 85lb/ 39kg Tow Broadcast Spreader (45-0530). 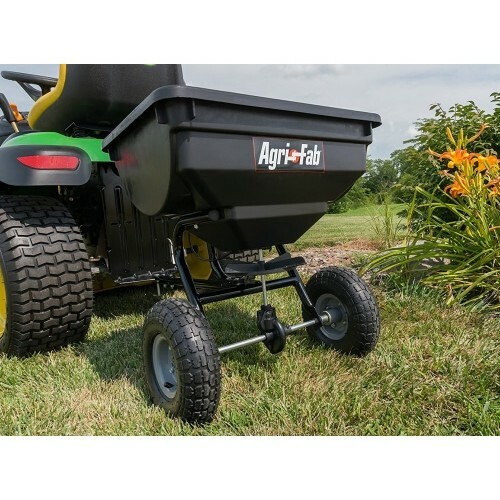 This Agri-Fab Towed Broadcast Spreader has a fully enclosed gear case for longer working life, even at higher towing speeds. 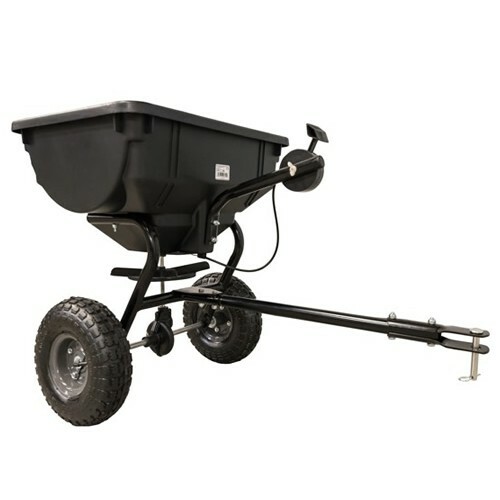 The poly hopper capacity is 85 lbs/ 39 kgs and the spread width of 244 - 304cm make it ideal for treating areas up to 14,000 sq. ft. The tyres are fully pneumatic to help handle uneven ground and measure 10 inch x 4 inch offering good support and traction in all conditions. The sturdy axle is made from steel as is the metal frame. 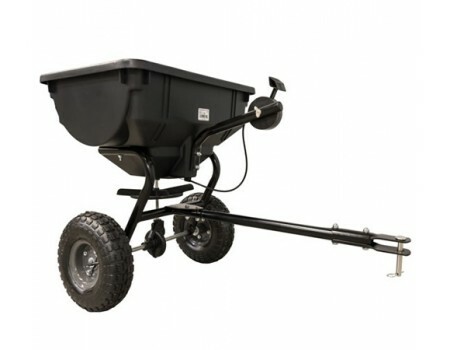 The rust-proof hopper is poly enabling it to be used for fertilisers in the spring and summer and for spreading salt in the winter. Hitch pin attachment.